Celebrating the Lectionary for Primary Grades provides 15-minute Lectionary-based catechetical sessions for every Sunday and Holyday of Obligation. It includes reproducible send-home pages for each Sunday and Holyday of Obligation that families can use to live the message of the Lectionary and celebrate the seasons of the liturgical year. 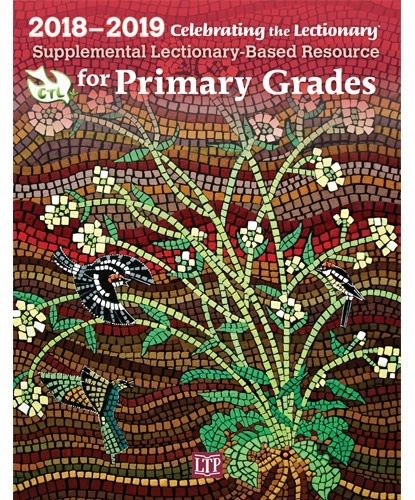 This resource picks up where most school religion textbooks and traditional faith-formation programs leave off, providing children with timely background and reflection on the seasons of the liturgical year and readings for each Sunday and Holyday of Obligation. Use of this resource as part of a school religion or parish religious education program will help children to explore their Catholic identity through the words of the Lectionary, concepts from major Church documents, and solemnities, feasts, and memorials of the liturgical year. This resource is intended for use with children in grades 1-3 (approximately ages 6-8).